Try our short AQL and MAT quizzes for free! Test yourself with these quick NBT Quizzes! 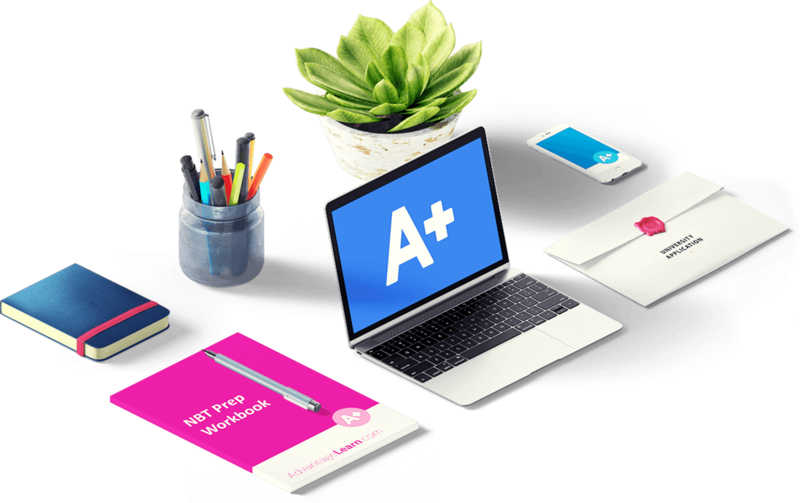 We've created three NBT practice quizzes for you to test yourself and get a sense of what the NBT questions will be like. The quizzes are timed. You will get a good sense of what it is like to write the NBT. One of the most difficult things about the NBT is how little time you have, so this is a really good exercise to give you an idea of what you will need to do on test day. If you don't complete the quiz in the time, you will be forced to submit what you have been able to complete - just as you would on test day! For more questions like these, purchase our NBT Online course where you will have access to hundreds of NBT practice questions! We’ve created three NBT practice quizzes for you to test yourself and get a sense of what the NBT questions will be like. The quizzes are timed. You will get a good sense of what it is like to write the NBT. One of the most difficult things about the NBT is how little time you have, so this is a really good exercise to give you an idea of what you will need to do on test day. If you don’t complete the quiz in the time, you will be forced to submit what you have been able to complete – just as you would on test day! Try the test as many times as you like! It really did help but I would have liked to have a few more questions on the mini NBT. The sample questions on the free test give you a good idea of what to expect. So far I've only tried the AQL myself and with students who attend an afternoon study group. Looking forward to trying the maths! Was not bad at all.Only if u can be able to cover every thing on time. It was a very interesting experience and a good way to test my language and mathematical skills. I searched for it on Google it was really helpful in expanding my thinking. It was very helpful and much smart and easy to learn. The NBT Preparation was very useful and helped realize that I need more preparation time for my test. Wow! They really know what they doing! I obtained great results. Thanks very much! This is very helpful...I found new ways to approach mathematical questions especially the interpretation of a give graph.. The course has helped build my confidence in preparing for my NBT exam. Thanks Advantage Learn. When writing my NBT I felt like I was over prepared. This course has really helped me understand what the nbt entails and how detailed and broad English and Mathematics can actually be. Without it as a practice course, I can truly say that I would not have passed the NBT. I 100% recommend this online program for all students who are writing the NBT. Very very helpful, I was almost crying rivers of tears over maths, to discover I knew what the questions were about, but didn't know how and what to do in them. Now I know better, thank you very much ! ♡ God bless you all! The NBT Preparation gave me an idea of how the questions could be asked and I also had an opportunity to test myself so it's safe to say its helpful. Very good example tests and exercises! It was good but I wish it was a bit longer as in had more questions because nbt's are a bit scary for me.